Fabulous colour - which variety is this one ? is this morning glory, Blackeyed Suzie? I have one growing in a hanging basket, although I had to look for my seed packet to get the correct spelling of the latin name, lol! 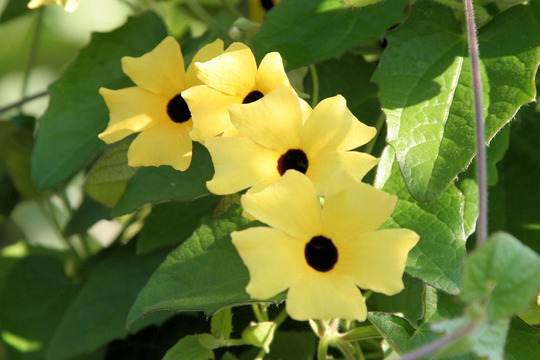 See who else is growing Thunbergia alata (Black-eyed Susan). See who else has plants in genus Thunbergia. This photo was taken at RHS Wisley.